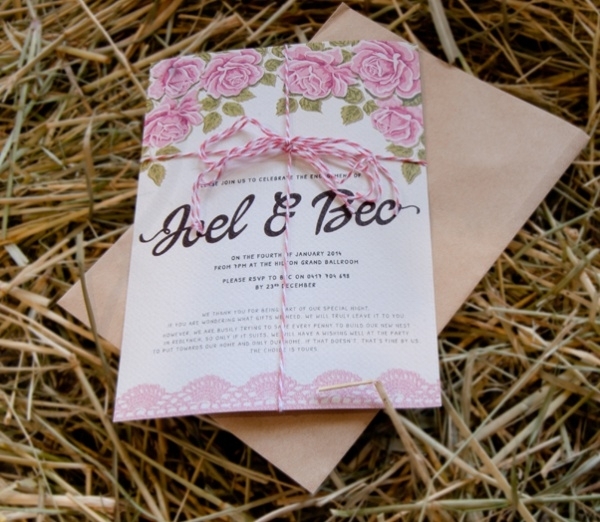 A great deal of preparation goes into ensuring that the engagement ceremony is memorable. 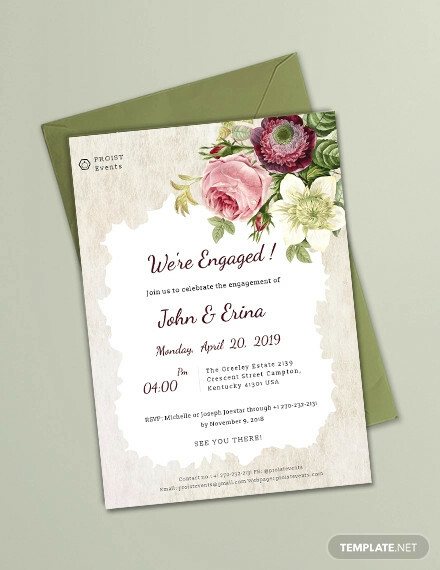 Agreeably, there are several elements which need to be looked into and taken care of, and one of the most important thing is the engagement invitation.You may also see Anniversary Invitations. 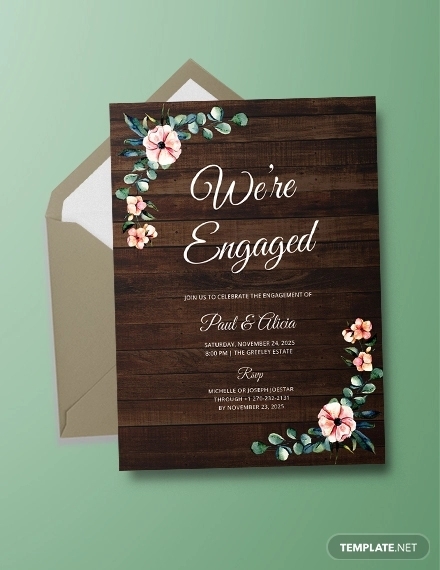 It is not just a decorative paper shaped into a card, rather, it is actually a memento of the engagement, a pleasant reminder of sorts. 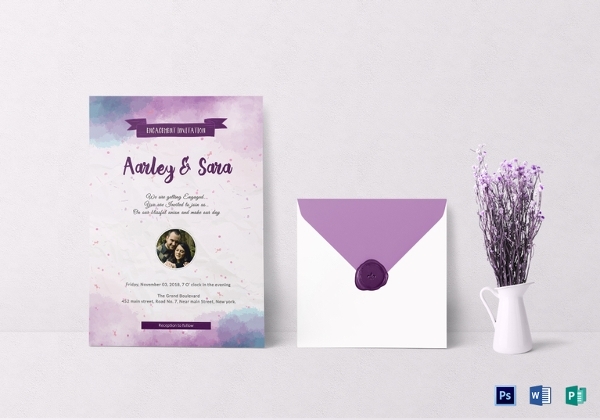 That’s reason enough for you to know that the design and look of an engagement invitation have to be better than just ordinary. 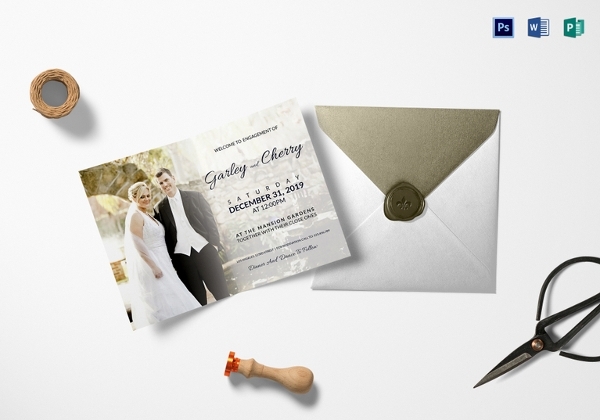 Take a look at some templates right here!You may also check Party Invitations. 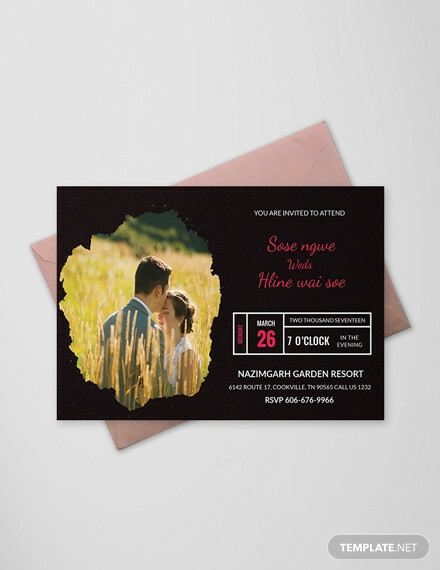 If you’re organizing your engagement function amidst the greens of your favorite garden, park or resort, then this is just the perfect kind of engagement invitation for the occasion. 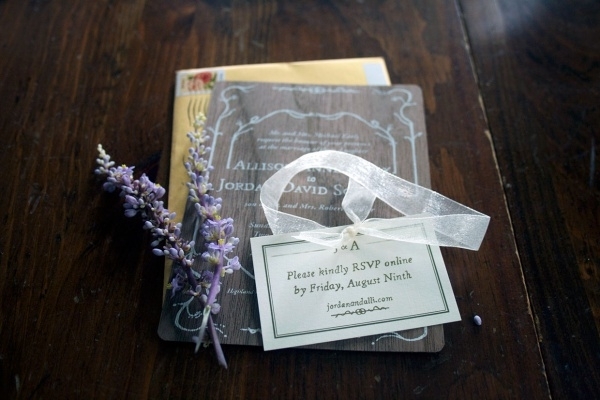 It wonderfully carries the tropical garden theme.You may also see Christmas Invitations. 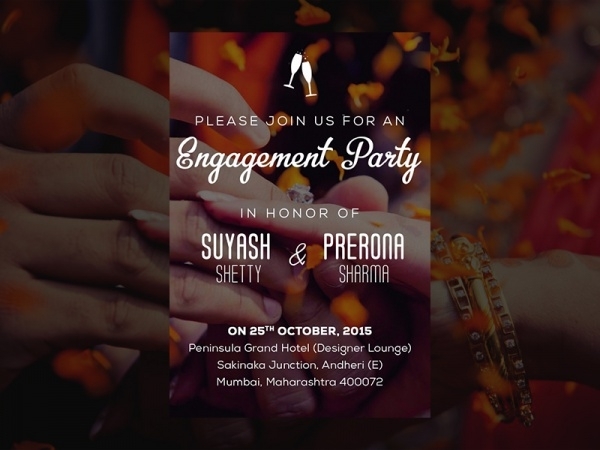 If you’re an Indian couple and hosting a traditional engagement party, there cannot be a more apt engagement invitation template than this one. It has the look, feel, and vibe which have ‘Indian’ written all over it! 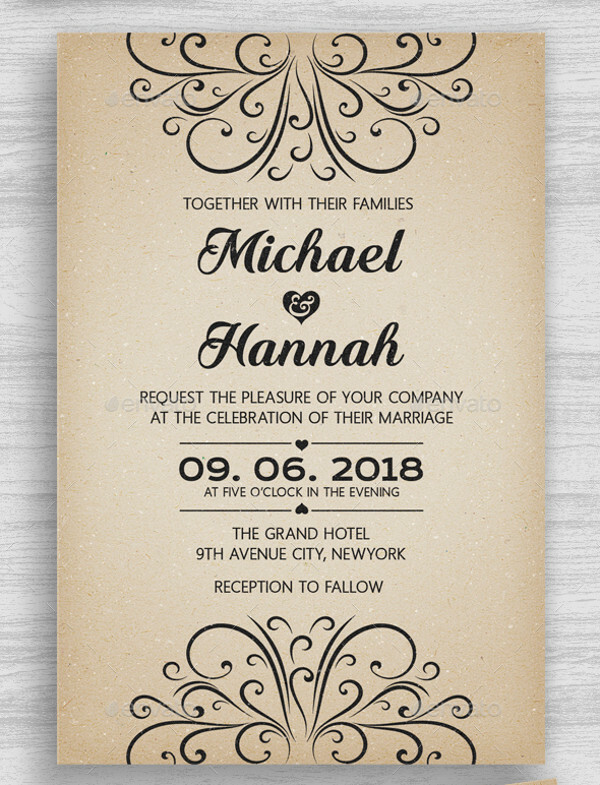 If you like simplicity and old-school charm, pick this black and white engagement invitation template to design your engagement invite. 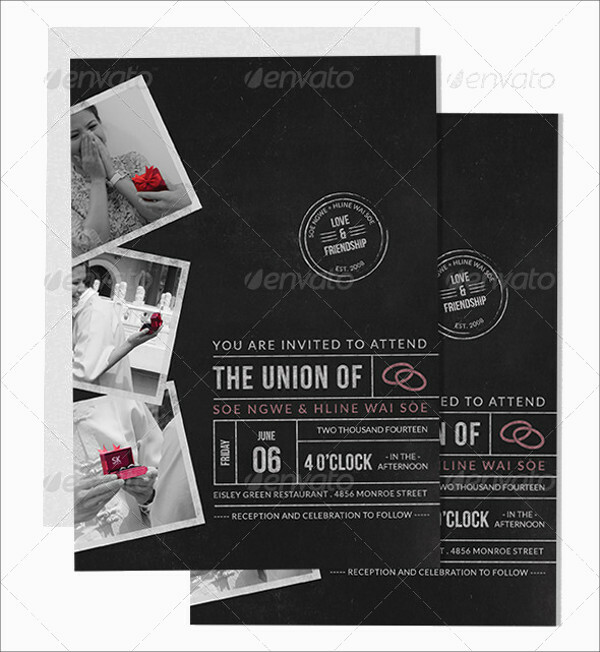 Both the envelope and card inside carry a simple yet attractive black and white design. 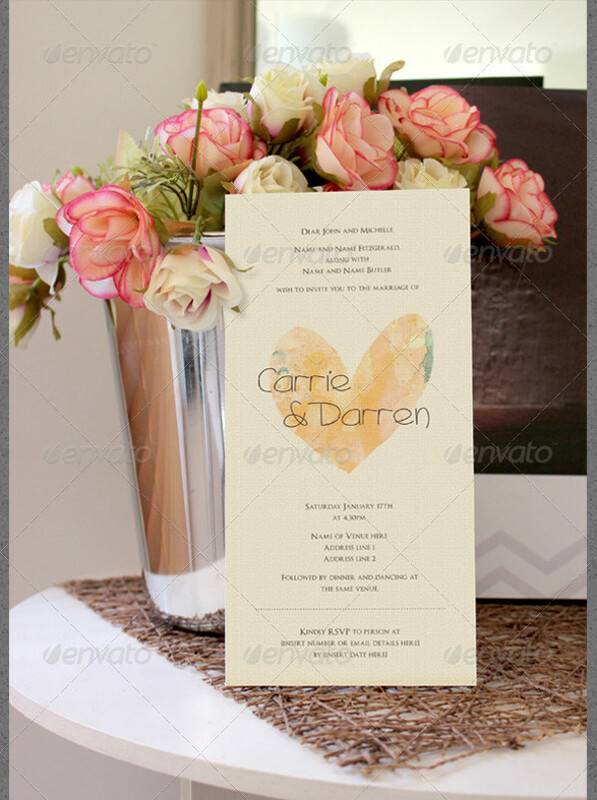 Here’s another vintage engagement invitation template which you can consider for the purpose. 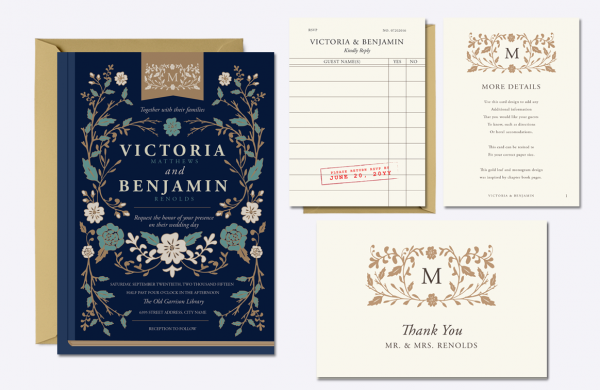 This alternative is slightly more ornamental – thanks to the golden artwork and use of lavish fonts. 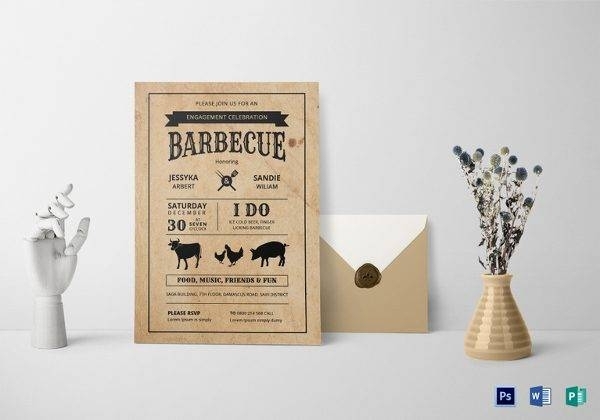 An engagement followed by a barbecue, now that’s a delicious event your guests would not want to miss. 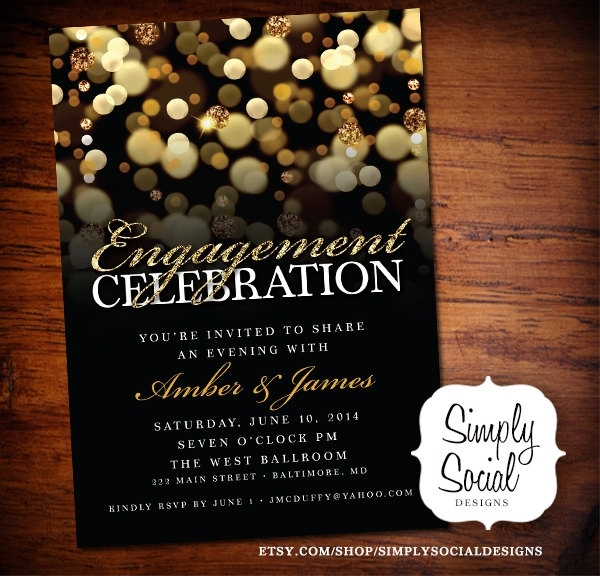 Tell them about your special day in style, by using this spiffy and modern engagement invite template. 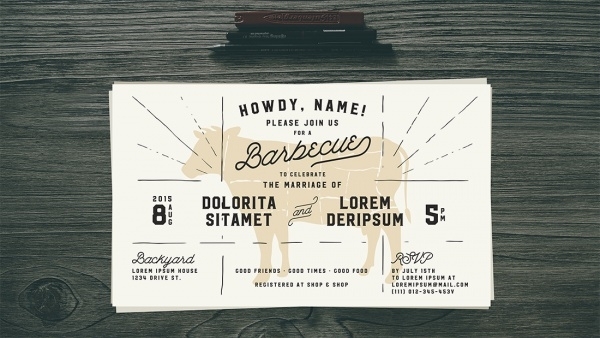 If you like and prefer old-style invitation cards for your engagement, this card vector is just that. 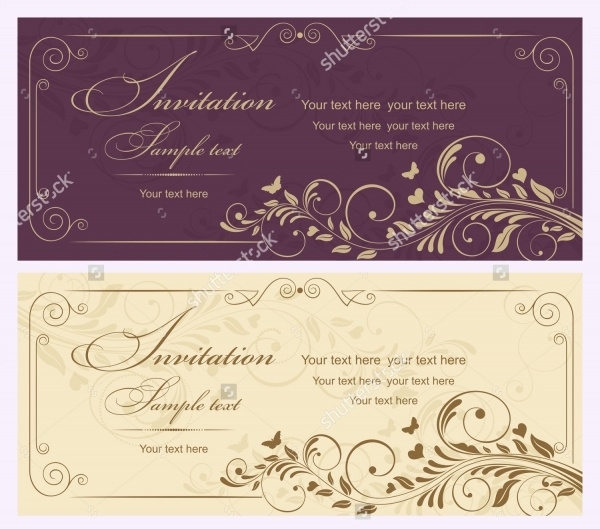 Featuring gold and burgundy invitation cards, both are customizable, editable, and resizable. 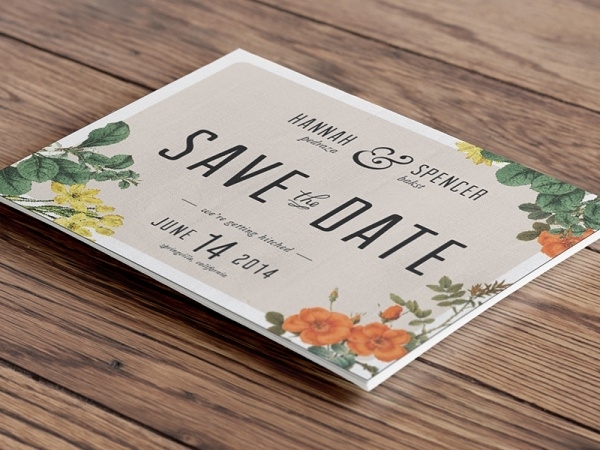 At times, an engagement invitation is designed using a beautiful context. 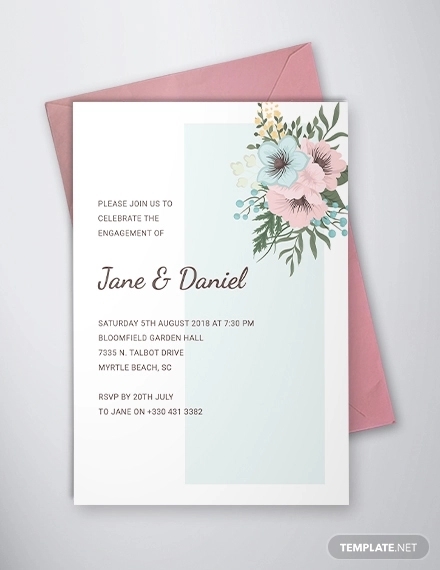 If you’re a fan of contexts and concepts, then you will absolutely love and appreciate this flower-bouquet themed invitation template. 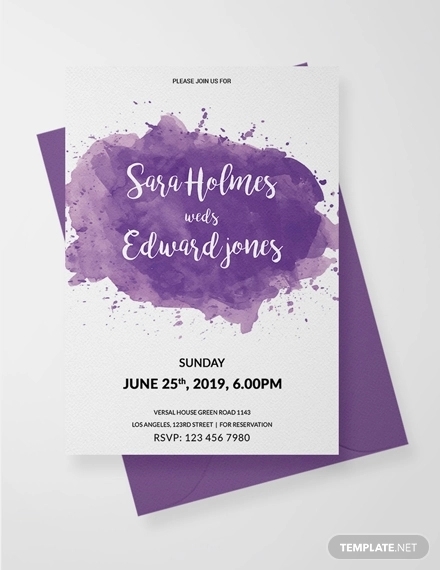 Stray from the norms of formal invitation designs and opt for something more fashionable – such as this totally amazing watercolor invitation template. 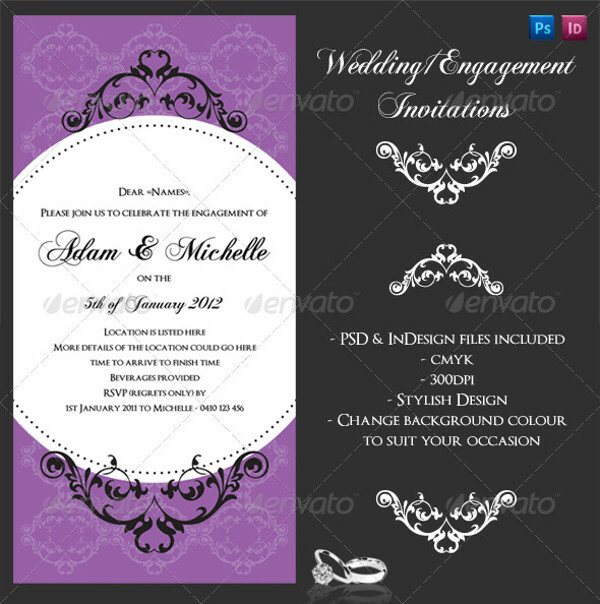 As the template is customizable, feel free to change the color hues and fonts. 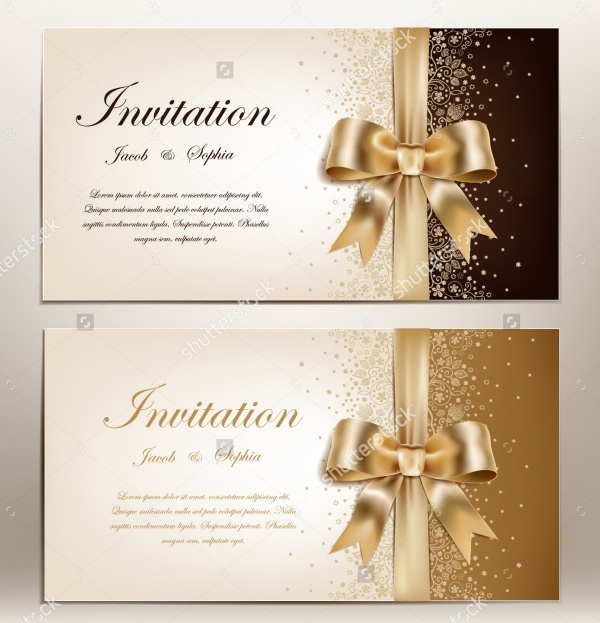 This invitation template features a golden ribbon and bow as details. It looks elegant and decorous. This is another hard-to-miss template option. 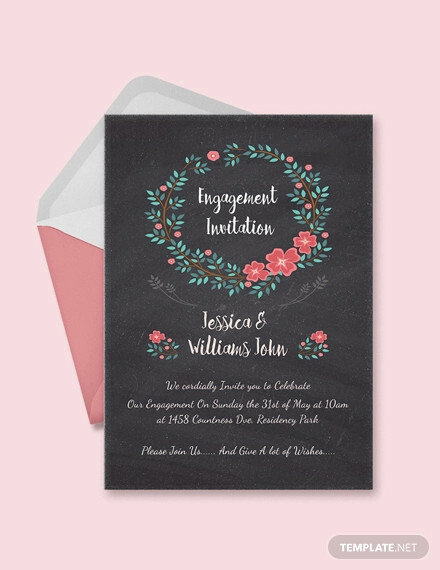 If you love chalkboards and chalkboard fonts, you can have the best of both your favorites in this chalkboard-themed engagement invitation mockup. 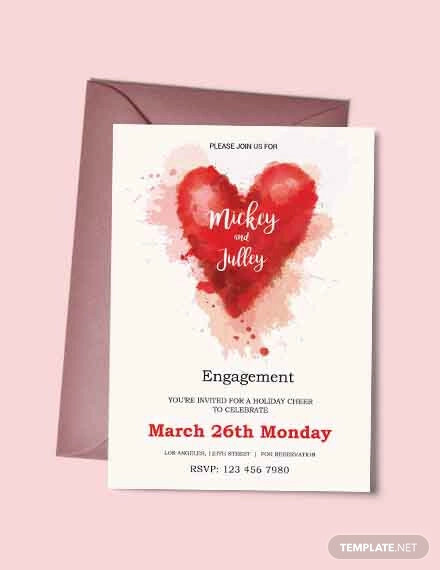 Insert black and white images of you and your beloved on the cover – as shown here – to make the card look even more special! 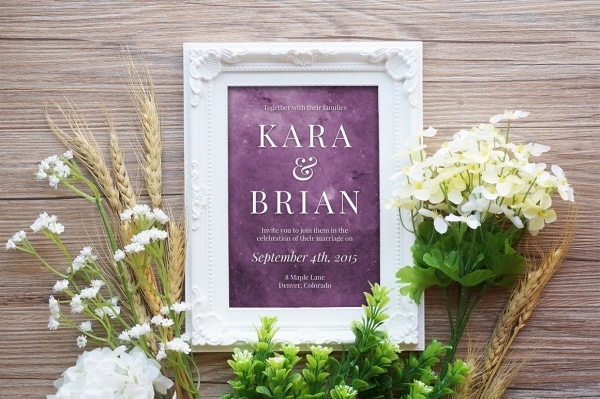 This is a beautiful set of 5×7 invitations which are completely customizable and print-ready. In this pack, you get 3 editable text layouts, 6 painted starry backgrounds to select from, and 4 color overlays you can explore and experiment with. 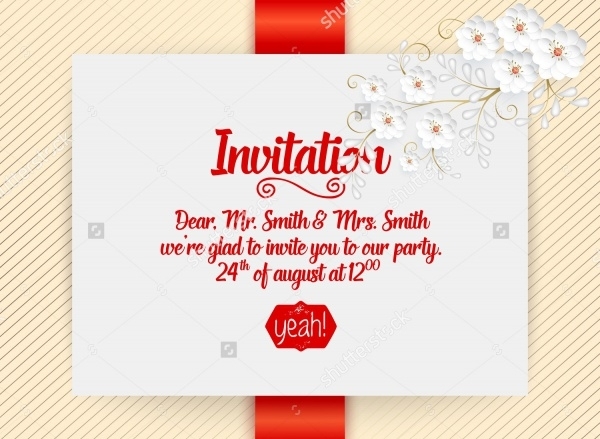 If you like more patterned invitation samples, take a look at this engagement card mockup featuring a red and gold baroque pattern, vintage frame and design details. 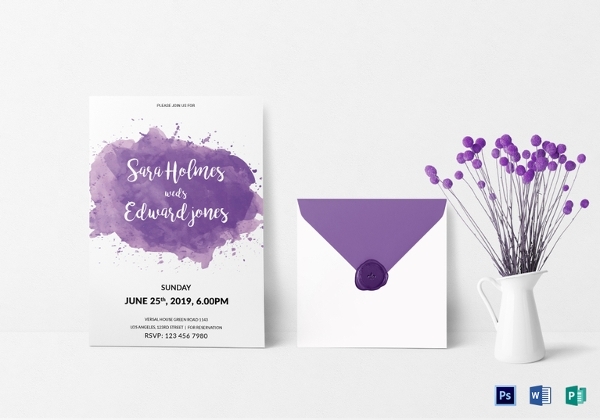 This engagement invite pack contains 5 elegant flourishes. Needless to say, each flourish looks extremely stylish and sophisticated. Feel free to alter the background color and give it the color tone that you prefer. 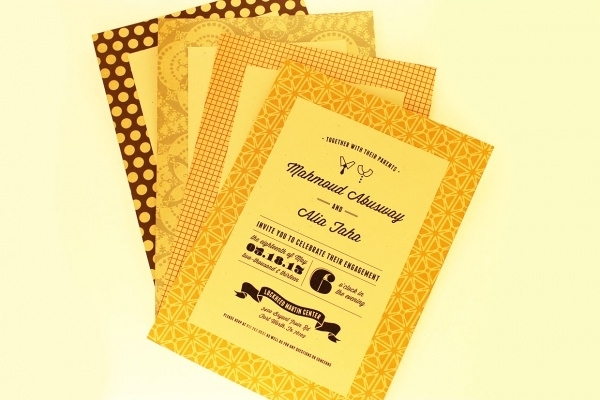 This wonderful, yellow-patterned engagement invitation card template has all the qualities which make it qualify to be one of the most perfect choices in this category. 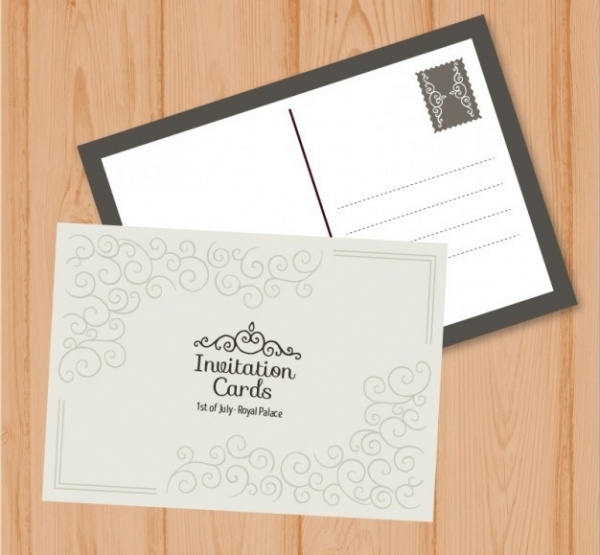 Go creative, pick a invitation card that is actually a roaster. 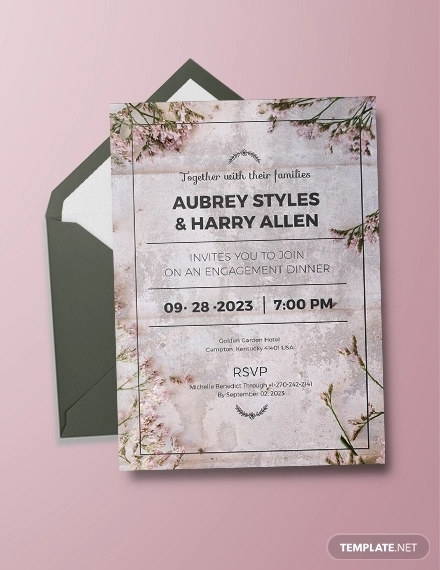 This quirky engagement invitation card template is well-suited for those couples who like to go out of their way and do things out of the ordinary. 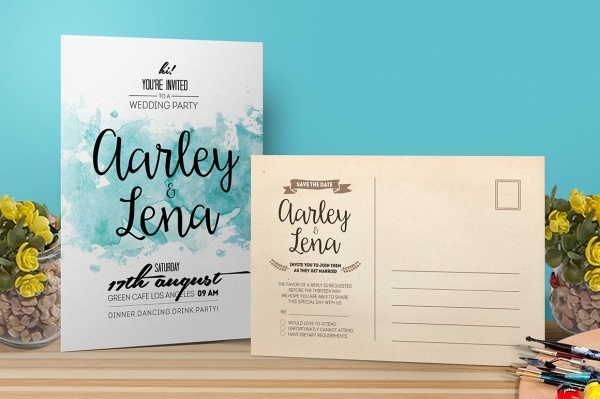 Whether you like it simple, ornamental, vintage or outside-the-box, we have got all the bases covered for you in our comprehensive collection of engagement invitation card templates. 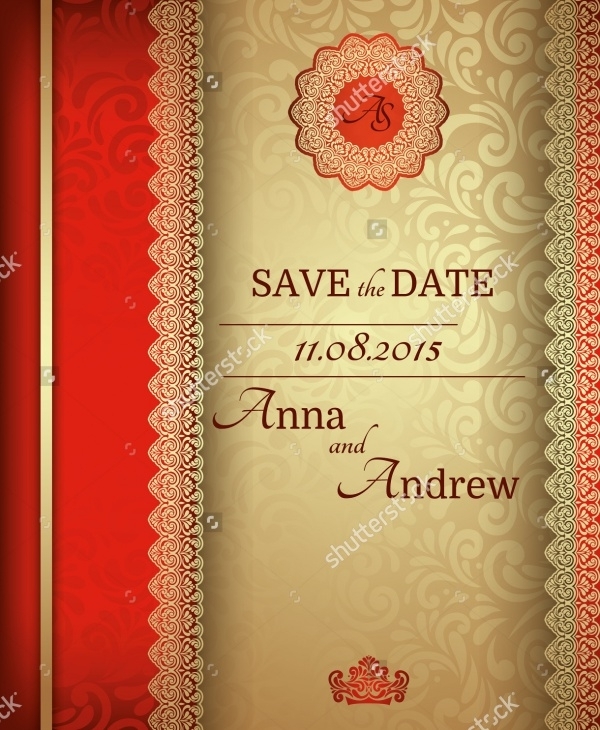 Download and use any template which fits your occasion the best. All of them are better in their own distinctive way!